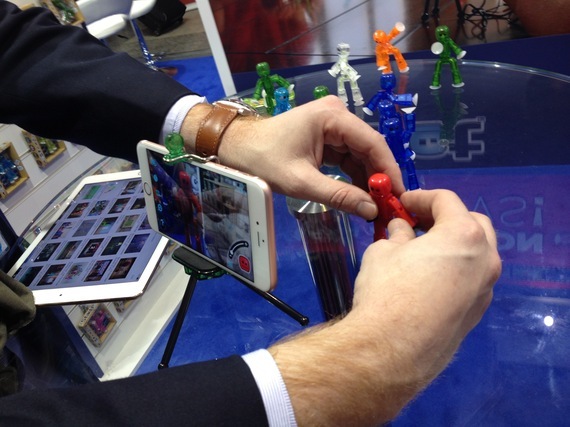 Is 2016 the Year for STEM, Digital and Virtual Reality Toys? I've spent much of the last couple of weeks either at BETT or the London Toy Fair and wanted to share my insights into what's to come in 2016. If you haven't heard of either of these events that's not surprising. BETT is a trade show for the educational technology sector whilst the London Toy Fair is a trade show for the toy industry. BETT is a huge event, taking over the Excel centre attracting teachers and tech experts alike. Toy Fair is one of the few places you will find full of toys but not children! It's always awash with well known children's brands, adults wandering the halls dressed up as everything from a Sylvanian family to a Minion and innovations wherever you look. This year did not disappoint. STEM stands for Science Technology Engineering and Mathematics. These subjects have a reputation for being for 'geeks' and boys but with the amazing array of products on the market to make STEM great fun I truly believe the tide may be turning. I can't wait to get my hands on some of the toys I saw on show and am becoming increasingly jealous of children of today - I really would have loved these toys. The chemistry related toys looked fantastic. They range form experiments sent by mail order monthly and all sorts of classic experiments to do at home to experiments to make soap, food, slime, candles and even lipstick. There were some fantastic biology, nature and physics kits too, as well as a wonderful array of electronics kits. The electronics kits that particularly caught my eye were those that combined physical components with digital control/programming. We've observed how much children love putting their coding skills to use in the physical world so I'm anticipating the new additions being an equally big hit whilst also teaching children about the components themselves. With so much choice and so much fun to be had can STEM toys still be overlooked as only for geeks and boys? I really hope not and strongly advise parents to look for one that is likely to appeal to your child whether they are naturally drawn to science or not. I truly believe one of the biggest barriers to getting girls into science is public perception, please do all you can to make your daughters feel that STEM really can be for even the girliest girl! A related growing area for toys is those that in some way connect to apps. Over the last few years we've seen many bad examples of 'app toys' as they are sometimes called (with a few gems amongst them). This year from what I've seen (although not had my hands on yet) at least some of the toy industry seem to have really understood how to turn the digital physical toy combination into something valuable. This year it looks like children will get the chance to use code to drive physical components, follow easy instructions to weave bracelets, create their own stop animation movie or add very cool digital magic to their magic shows (among other things). Definitely an area I will be watching closely! If you haven't had a chance to try virtual reality (VR) yet then it won't be long. 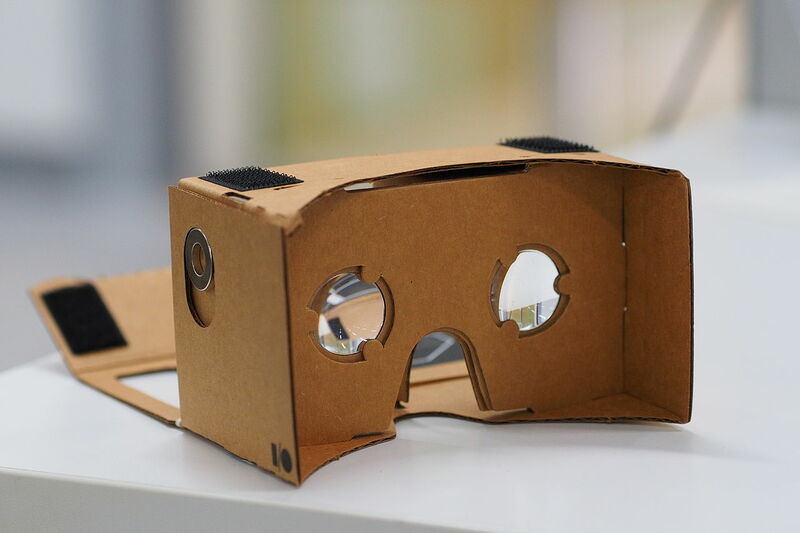 The launch of Google cardboard has made virtual reality an affordable option and set the great toy, app and gaming minds a challenge they are quickly rising to. All you do with Google cardboard is fold it into a simple headset, slot your smartphone inside and put it on to try one of the many new VR apps on the market. During BETT and Toy Fair I had many opportunities to try out various different Virtual Reality games whether designed to educate or simply entertain. I was delighted to find that unlike in the past I wasn't immediately overcome with nausea and there is no doubt that the graphics and affects are pretty cool! I'll certainly be looking out for wonderful uses of VR, particularly those that combine fun with education and so help VR mature out of the gaming community. Photo Credit #1: STEM Toys (2008), from Pixabay licensed under CC0 Public Domain[Photograph]. Photo Credit #2:Toys with Apps (2016), Copyright by Lucy Gill [Photograph]. Photo Credit #3: Assembled Google Cardboard VR mount (2014), by othree licensed under CC BY-2.0 [Photograph].